Maize also known as Corn, is a grain domesticated by indigenous peoples in Mesoamerica in prehistoric times. The leafy stalk produces ears which contain seeds called kernels. Maize spread to the rest of the world because of its ability to grow in diverse climates. Sugar-rich varieties called sweet corn are usually grown for human consumption, while field corn varieties are used for animal feed and as chemical feedstocks. Field / Animal Corn is used mainly to feed livestock, but it is also used for human consumption as well. Sweet Corn, the type most commonly eaten, is a genetic variation that accumulates more sugar and less starch in the kernels; it is usually shorter than field corn. Indian Corn was originally the term applied to what we now know as maize or corn, to differentiate it from the generic term of “corn” Europeans used for all grains at that time. 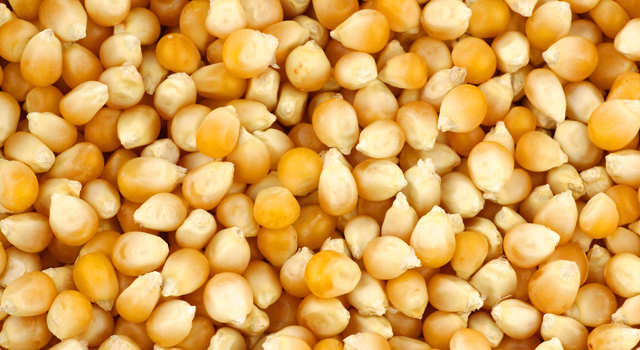 Now, it usually refers to any corn that has different colored kernels. Usually it is dried and used for ornamental purposes.